Hey guys, so todays mental health topic I want to talk about is anorexia. The NHS website describes it as "An eating disorder and mental health disorder that can be life threatening." People with anorexia try to keep their weight down as much as possible by eating as little as possible, they often have a distorted image of themselves thinking they're fat when they're actually not. It can includes exercising excessively and counting calories. We all want to look a bit different to what we do, I'm yet to meet or talk to someone who is 100% absolutely happy with how they look, we want to change our noses, our legs, our hair, our weight. But when thoughts of being thin and losing weight satirize our thoughts it can be so dangerous for our mental and physical wellbeing. These thoughts then become all someone can think about, even going out with friends loses meaning and life just becomes this mess of pursing to be thin. No matter how much weight they lose it's never enough. 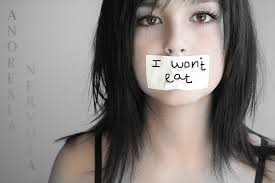 People with anorexia often hide eating from family and friends, pretending they already ate or lying about what they eat. Warning signs include loosing weight, missing meals, not eating in restaurants. It can be associated with depression, self harm and bulimia. Anorexia can often lead to things like kidney failure liver damage and heart failure. I think warning signs can change from person to person, for example people don't eat a lot but they might not be anorexic, they just don't have a big appetite. Anorexia can start for many reasons too, people may have distorted images of themselves like I said earlier, believing they're too fat and should lose weight but that's not the only reason. I've heard from some people with anorexia who have said the reason they stopped eating was because they felt that their food habits was the only thing they could control in their lives, or as a way of self harm. I think it's important to remember that people can't always bring a knife to their skin but find it easy to skip meals and eat very little as a way of almost punishing themselves. I know what it's like to be scared to eat, I seriously do. Since the beginning of this year life got a lil tougher for me and I've been ill a lot lately since January really, I really do not have anorexia or even a want to be thinner but because of how ill I've been I've had problems meaning I panic and feel awful when ever I eat, so not wanting that feeling Its been hard for me to eat, literally having to turn down foods and swapping cooked meals for sandwiches because they're easier on my stomach. It's embarrassing and a little impolite to turn down foods and I know a lot of people have been worried for me and it's hard for me to tell them that I'm okay it just scares me a little. I lost a fair bit of weight too but luckly things are starting to get easier for me, I'm eating so so so much more than I was and I've gained a little weight from what I was in February time so things are looking up at the moment anyway, although eating still causes me a lot of stress and anxiety, and it's hard for me when people don't understand. For people with anorexia it's so much worse than that, its usually a morbid obsession with wanting to lose weight. 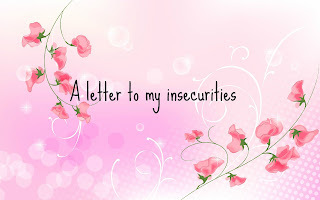 I did a post a while ago on weight issues and blamed the media ect but it has such an important role within an increase in young girls especially wanting to desperately lose weight to look like the photoshopped woman on magazines.Anorexia is so serious, it's not something to be taken lightly and it can lead to death. But there is help there are so many campaigns and people and support groups that you can go to, I think a lot of the time often you may not even realise that your obsession has become unhealthy you may think its a simple little diet when in reality your friends and family can see it's so much more than that. 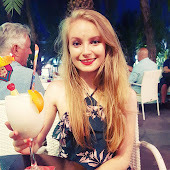 If you or you think your friend is in danger of becoming anorexic then please have a look around the Internet to find people that can help, even going to a doctor and telling them your problem and to see what they suggest to do, I believe in you all and I think you can do this remember I'm always here to talk to too.